Firefox 4 was another milestone for the Mozilla team. Of course, with the growing popularity of Chrome, Firefox’s admiration seems to have taken a downward trend. However, the record-holding browser isn’t going to back down. In its next version, that is Firefox 5, the veteran browser promises to bring along features that will put Firefox at par with Google Chrome. Here are 9 such features that will make you reconsider if you’re planning to switch to Chrome. Or, if you’re a Chrome user already, who knows, you might as well go turn back to the fox. If you love the little menu that sits on the top left corner of your Firefox 4 window, then, you have even more reasons to be excited. 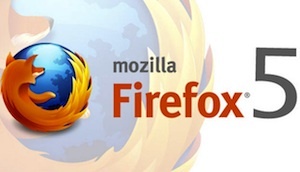 Firefox is planning to implement a new feature that will make a website behave more like an app. What this means is, when you create an app tab for a website -- let’s say Twitter -- the site, now an app, will have its very own dedicated menu. So, on the top left corner of your window you’ll be able to see not one but two drop down menus -- one for Twitter and other for Firefox. The Twitter menu will include quick shortcuts to the website like New Tweet, Replies and so on. Similar mock-ups have surfaced demonstrating the feature on various web sites like IMDB, CNN and others. For a quick sneak peek on how it looks like, visit this site. Firefox 5 will mostly come bundled with F1, Mozilla’s new social sharing extension. The feature will allow a user to share any web page with their friends on Twitter, Facebook and other social networks. As of now, the extension works flawlessly and it is continuously improving. Having this feature in Firefox will definitely give it an edge over Chrome, which doesn’t have any such feature. Syncing on Chrome is bit more obscure when contrasted with how it is on Firefox. Firefox 5 will further ramp up this feature so that you’ll be able to sync all your passwords, bookmarks, open tabs and more across desktop as well as mobile. Hate opening a different browser just to login to your second account on a particular site? Thankfully, Mozilla has come up with a nifty solution to that problem. In Firefox 5, Mozilla will possibly include a new feature called identity manager. This will help users log into multiple accounts at once without logging out from either of them. Details about this feature are sketchy but Firefox is planning to introduce an all new ‘New Tab’ page. We still don’t know how it will look like but it will definitely be better-looking than the one on Chrome. Firefox 5 will include a small tweak, which will enable users to track the status of the file they’re uploading to a particular website. This is a huge gift for users who always want to know what’s going on behind the scenes. Firefox 5 may include a built-in PDF viewer and Mp3 player. Chrome already has a native PDF reader, but having that feature in Firefox 5 will definitely make the competition tougher between the two browsers. Keeping track of addons in Firefox 5 as well as updating them will become a lot easier. The latest version of Firefox will feature an all-new add-on selector, which will allow users to keep track of their installed extensions and plugins. Updating them will no longer be an ordeal as Mozilla aims to make this process easy and non-intrusive for all the users. Firefox 5 will feature all new color-coded search boxes that will help users identify which search engine they’re currently using. For example, if Google is active, a little green bar saying ‘Google’ will be displayed adjacent to the search box. Similarly, there will be color codes for Bing (yellow) and Yahoo (aubergine) making search easier than ever. With Firefox 5, Mozilla plans to bring back the users it has lost to Chrome and Chromium. This, of course, is no easy task, as Chrome is developing and growing at a breakneck speed. Also, that coupled with the release of Chromebooks, will give Chrome a major boost in the market share. Mozilla having ramped up its development cycle hopes to catch up with Chrome and more importantly, to retain its no 1 spot amongst the various browsers out there. By releasing Firefox 5, Mozilla may quickly reach this goal. I don't see this as such a major release. I hope that FF6 will set things straight and provide better Linux integration - Chrome has done a lot lately there, and FF just feels very much not native. Chrome is becoming more tempting because of this, but there are supposed plans. Opera is better than both Firefox and Chrome.